One of the highlights of our Bead Expo is the stunning Member's Exhibition, showcasing the beautiful handcrafts created throughout the year. 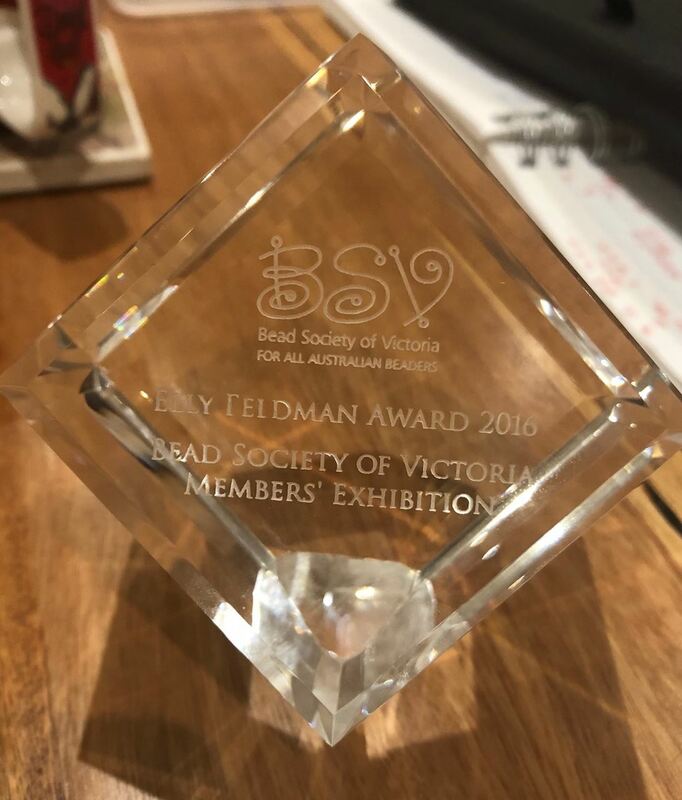 Handmade Bead - an individual, handmade bead, addressing a theme or concept - 2019 Theme is "Anniversary"
Each year, one entry is judged by one of the Bead Society's founding members, Elly Feldman, for the perpetual trophy the 'Elly Feldman Award'. The piece is judged on creativity, technique, original design, wearability and uniqueness. The winner is awarded a momento trophy, and an original handmade bead by artist Wendy Bergamin.